So, recently I took part in the Kill Team, Hand of Fate event at Warhammer world, I was fortunate enough to win the Tournament Champion Trophy – it was a fairly close tournament. Only 5 points separated me from the chap who came second. Moreover though, it was a heck of a lot of fun. I really enjoy the Kill Team setup, as frankly, one of the problems with 40k (in my opinion) is that it’s perfectly possible to spend half an hour being spanked (and not in one of the fun ways) up and down the table as your opponent happily shoots your poor defenceless (ahem) marines off the table in fistfuls. In Kill Team the action is so fast, and the game so quick that even if you’re on the receiving end of a panel beating then it’s not at all demoralising. Anyway, off the back of the event Rory asked me to put a metaphorical pen to some equally metaphorical paper and answer a few questions for him. Rory – Who are you and when did you start gaming? Me, well I’m Derek. Most people end up calling me Dessie though so that’ll do. I came from Glasgow originally but now live in Nottingham, about 10 minutes away from Warhammer World (affectionately referred to as the Temple – round my house). My first time playing wargames was 20 something years back. My mate, Andy, and myself would knock lumps out of each other playing Fantasy Battle. I say we knocked lumps out of each other, mostly he would beat the snot out of me every single time. He had a trick of 20ish beastmen and a Rapturous Standard (which made them immune to psychology) and would tarpit me all the time. It was an inglorious time in which to be a Dark Elf. I fared much better when I started playing Bretonnians and just avoided him altogether. I stopped for quite a while though and only took up playing 40k back in 2014. Since then I’ve been playing when the chance arises, usually against local friends, but have taken part in a couple of tournaments when people I know have been playing them. 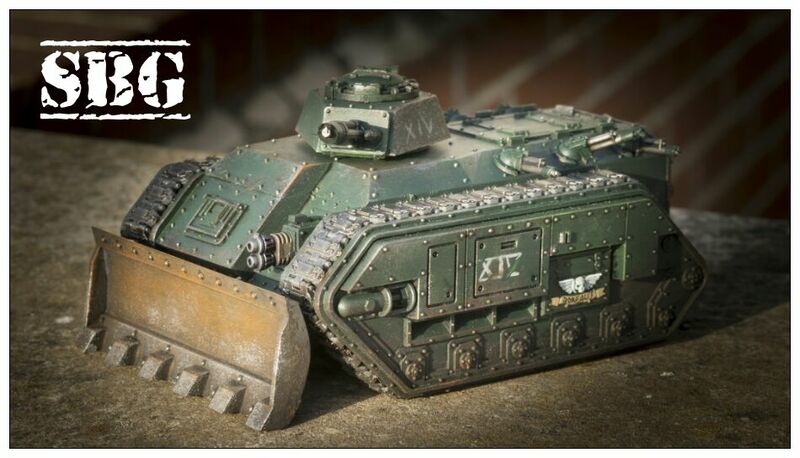 Rory – You recently won the Warhammer World Kill Team event, what team did you pick? Kill Team Borealis was my entry for the event. A squad of highly trained Imperial Guardsmen, hell bent on kicking the ruinous powers of Chaos squarely in the daddybags. I picked them for a couple of reasons. Firstly, the Imperial Guard don’t get a lot of love. They totally play second fiddle to the poster boys in the Space Marines**. Mostly however, I just fancied playing something with a fun story to it. The single unit caught behind enemy lines is a total cliché but it’s a fun cliché. 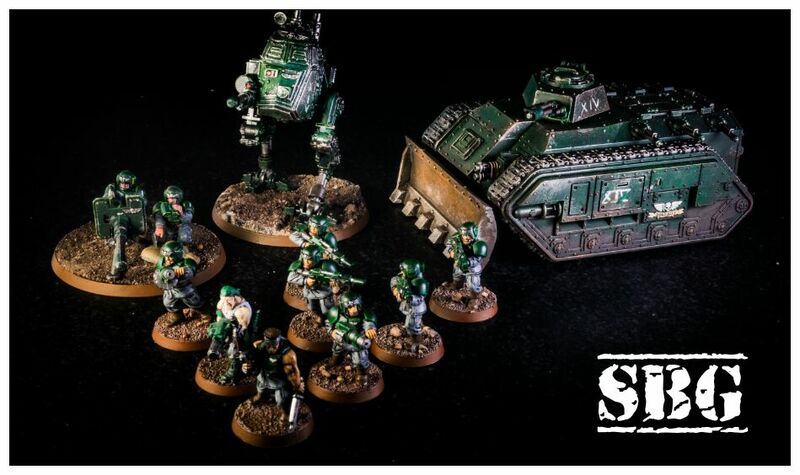 This could be Dutch’s team in Predator, or Clay’s Losers in Bolivia but whoever it was it had to be a human story, and the post human monstrosities of the Adeptus Astartes don’t quite fit into that storyline. Rory – How were your games, any push overs or hard cases? The games were overall a LOT of fun. I had a really great day. During the tournament I ended up facing off against a tactical squad of Blood Angels, a very similar force of Imperial Guard, Tzeentch Screamers and Flamers, Dark Angels combat squad and bikers, some sneaky sneaky Raven Guard, a squad of 12 Genestealers, and a bunch of Skitarii Rangers. The ones that were the most fun, and stomach churningly close were the Tzeentch force, and the Genestealers. Against Tzeentch, the Screamers shredded all my armour leaving my poor beleaguered Chimera not much more than a smoking pile of debris. What I hadn’t realised was that the Flamers were jump infantry. I found this out the hard way as two flamers leapt out from behind cover and doused my bewildered guardsmen in some of the worst halitosis known to man***. It was a really tight game, and I was lucky in the deployment of my opposition as he couldn’t bring everything to bear at once, so what was left of my squad turned around and annihilated the local forces before my heroic Sergeant marched across the field and then headbutted the Screamer Team leader squarely in its heretical mouth. Yes folks, you heard right, the Imperial guard charged into close combat, and WON!!! Anyway, that’s enough havering from me, so I’m going to return you to your regular broadcast of Rory, and people who are actually able to paint to a reasonable standard. Thanks for bearing with me and my ramblings. *I’m also known for my sense of modesty, and self-effacement – In no way have I ever upset the great gods of Hubris. **Come to think about it they play 8th fiddle to Marines, Grey Knights, Inquisition, Custodes, Sisters of battle, Imperial Knights, Mechanicus … but that’s beside the point. 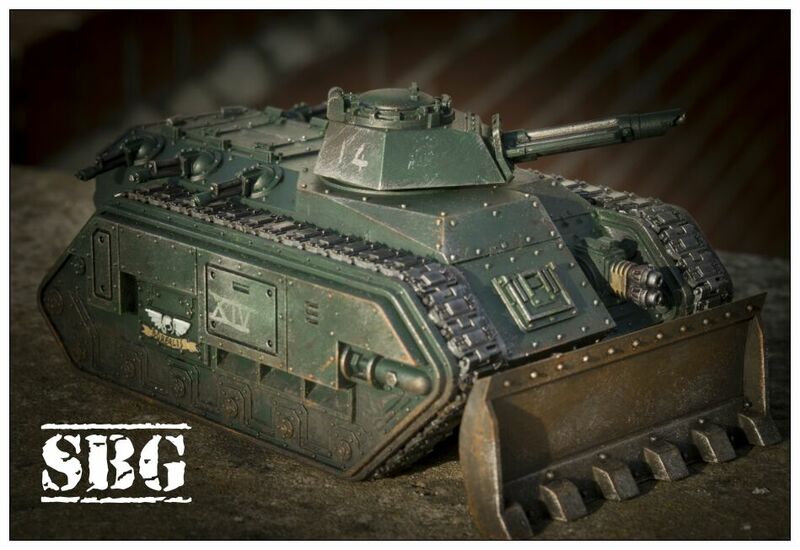 **** Corporal Neil did discuss the merits of cowering in the back of the transport for a few minutes before now doing his famous Pedigree Chum impression, courtesy of a nearby genestealer. Rest in Pieces, Corporal Neil.